The Shenzhen Special Economic Zone, which borders on Hong Kong, has been juggling a big question since the late 1980s: How to handle the zone’s relationship with Hong Kong? The government of the special economic zone was once torn between different options. People have occasionally entertained the idea of getting closer to Hong Kong while distancing the zone from the localities on the mainland. 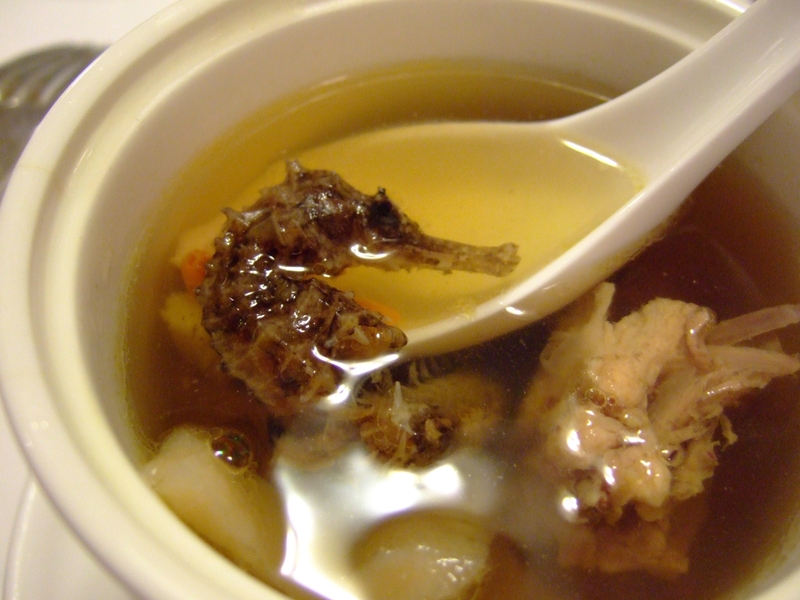 At other times, however, they have leaned toward the notion of competing with Hong Kong. For example, some have gone so far as to draw up plans to expand Shenzhen’s territory inland to increase its physical power to compete with Hong Kong. Such debates raged right up until the beginning of the period of the 11th Five-Year Plan (2006-10), when the Shenzhen government finally came to a decision – to cooperate with Hong Kong in an all-around way and accommodate the latter’s needs in order to achieve common development and the integration of the two economies. 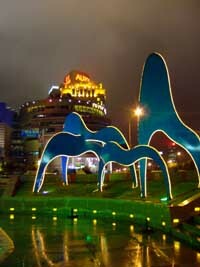 Shenzhen’s unique resources and institutional factors dictated the municipal government’s strategic choice. 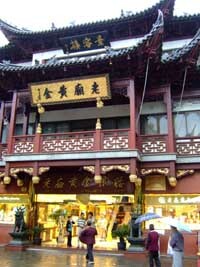 Shenzhen occupies what was once Bao’an County, before the reform and opening-up of the late 1970s. The county had a population of barely 30,000 people, many of whom made a living fishing. 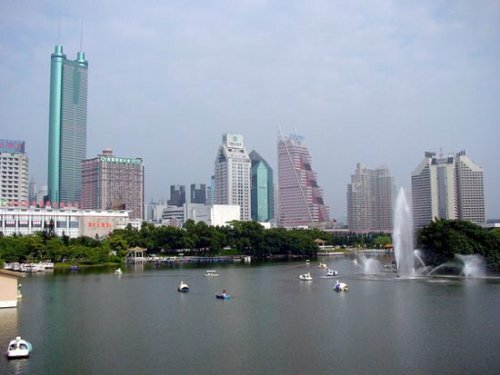 In May 1980, the central government decided to set up the “special economic zone” of Shenzhen. There were many reasons to set up the Shenzhen Special Economic Zone: to take advantage of its geographical proximity to Hong Kong, to learn from Hong Kong’s market-economy expertise, to absorb capital from Hong Kong and other parts of the world. The preferential policies granted to Shenzhen by the central government eventually translated into institutional advantages over other localities on the mainland and, in turn, into resource advantages. This was the root cause of Shenzhen’s dazzling development in the first decade after its founding. But the special economic zone’s small space – it occupies a mere 396 sq km – arrested its further development. So some people came up with the idea of totally opening Shenzhen’s borders to Hong Kong, while retaining control over the inner city. In this way, they hoped to make still better use of the institutional advantages of Hong Kong as a market economy and also to “magnify” Shenzhen’s limited land space. Of course, this was mainly wishful thinking, because the borders could not be totally opened while Hong Kong was still under British rule. In early 1992, Deng Xiaoping, the chief architect of China’s reform and opening-up, toured the country’s southern coastal areas and made some important speeches on economic reform. That year, the 14th National Congress of the Communist Party of China made it clear that the goal of China’s economic reform was to build a socialist market economy. Now that the reform has taken hold and the mainland opened to the rest of the world in an all-around way, the institutional advantages enjoyed by the Shenzhen Special Economic Zone have faded a bit. In response, Shenzhen started looking beyond the narrow special economic zone at the city’s 1,952.8 sq km of land. In its efforts to increase Shenzhen’s economy, the city government has said time and again that the city should do its best to accommodate the needs of Hong Kong, reinforce its cooperation with the special administrative region and enhance Shenzhen’s declining institutional superiority over other localities on the mainland. Over the years, the driving force that powered Shenzhen’s economic development has been the reform of the economic system. 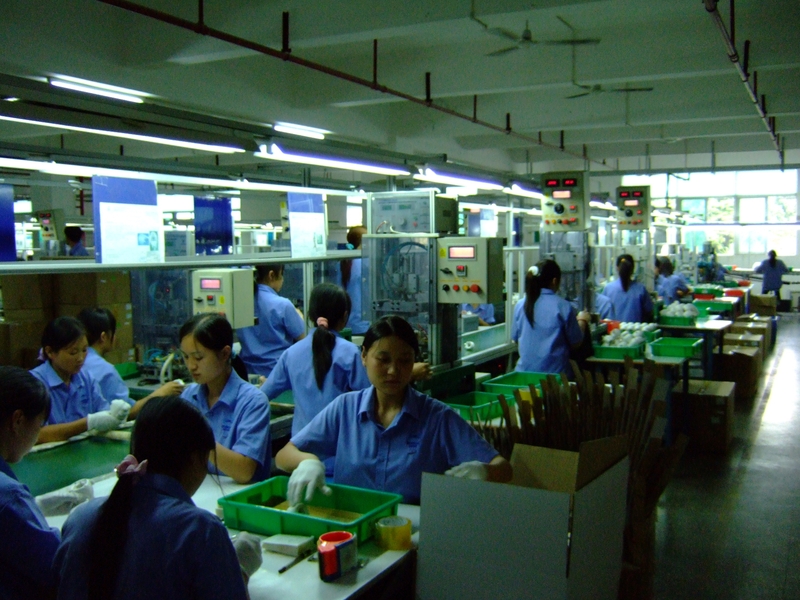 Between 1980 and 1985, for example, Shenzhen pioneered the reforms of the capital-construction, pricing, finance and investment and wages and employment systems. On July 8, 1985, the mainland’s first shares of stock since 1949 were issued by the Bao’an County United Investment Corp. That same year, the mainland’s first foreign-exchange redistribution center was set up in Shenzhen. Shenzhen, in its economic reform, has been drawing upon the experiences of Hong Kong and studying its mechanisms as a successful market economy. When the Shenzhen Stock Exchange was being established, many Hong Kong experts were taken on as advisors. How to retain Shenzhen’s institutional advantages over other mainland localities since China’s reform and opening-up are making big advances? This question has been at the top of the Shenzhen government’s agenda over the years. In 2003, the city government attempted to usher in the reform of separating government functions. This meant that government organizations would be reorganized along the lines of decision-making, executive and supervisory bodies. The experiences of Britain, the United States, Singapore and the Hong Kong Special Administrative Region were used as references. Although the separation of powers is stalled for various reasons, this author believes that the pilot reform project will be kicked off in Shenzhen. Political infrastructure reform is moving ahead on the mainland, and the cooperation between Shenzhen and Hong Kong is getting increasingly closer. Funds from Hong Kong have always claimed the lion’s share of overseas investment in Shenzhen. By 2004, for instance, more than 10,000 Hong Kong corporations had made investments in Shenzhen, and the total investment volume had reached $35 billion, representing 67.5 percent of Shenzhen’s overseas investment. nei numerosi centri finanziari offshore che dominano l’economia dei piccoli Stati indipendenti dei Caraibi. mercati azionari internazionali. Naturalmente, non si tratta soltanto di una questione di regole. Infatti, un gran numero di dirigenti e di funzionari pubblici cinesi hanno beneficiato della collocazione di grandi gruppi industriali presso giurisdizioni offshore per garantirsi il controllo illegale di ingenti patrimoni che, in realtà, sono di proprietà pubblica. La pratica, piuttosto comune, trae origine da un nodo di fondo della normativa cinese tutt’ora irrisolto, ovvero, la distinzione per nulla agevole tra sfera pubblica e privata sia in relazione agli interessi che ai ruoli svolti dai singoli soggetti. capitali esteri che alimentano il boom dell’economia cinese ha rivelato, a sorpresa, che una quota significativa degli investimenti esteri diretti che sbarcano a Pechino, circa il 20 per cento, hanno una provenienza piuttosto insolita, ovvero, noti paradisi fiscali, in particolare, caraibici. Per esempio, dalle Isole Cayman ogni anno giungono a Pechino quasi 2 miliardi di dollari in Foreign Direct Investment (Fdi), mentre una quota di poco inferiore arriva dalle British Virgin Islands. Somme troppo consistenti per rappresentare una mera casualità economica, oppure, una delle numerose incongruenze commerciali che caratterizzano i flussi del mercato globale. E’ stata sufficiente una breve ricognizione dei responsabili economici di Pechino per tracciare la mappa del nuovo fenomeno che seduce e attrae il pianeta delle aziende cinesi. cinese ha oramai acquisito una solida conoscenza ed esperienza delle regole del sistema finanziario internazionale ed è quindi pronta per competere su scala globale con i maggiori colossi mondiali. La recente migrazione verso i paradisi fiscali rivelerebbe quindi una maggiore disponibilità da parte della Corporate-China a integrarsi con l’economia internazionale, sacrificando, ma soltanto in parte, la straordinaria rendita di posizione di cui ha saputo abilmente far uso nell’ultimadecade. Naturalmente, le opinioni su tale tema sono variegate e non sempre concordano. Infatti, non sono in pochi a criticare aspramente il ricorso ai paradisi fiscali da parte delle aziende cinesi che, alla fine, oltre a destabilizzare il mercato globale abbinando la protezione garantita dalla chiusura della legislazione nazionale alle condizioni particolari dell’attuale stadio di sviluppo dell’economia interna ora, tramite il ricorso alle giurisdizioni offshore, potranno beneficiare di un’ulteriore raffica di vantaggi sia fiscali che finanziari che, nel breve periodo, potrebbero renderle davvero insuperabili sul piano della competizione che si basa sui costi e sui listini. 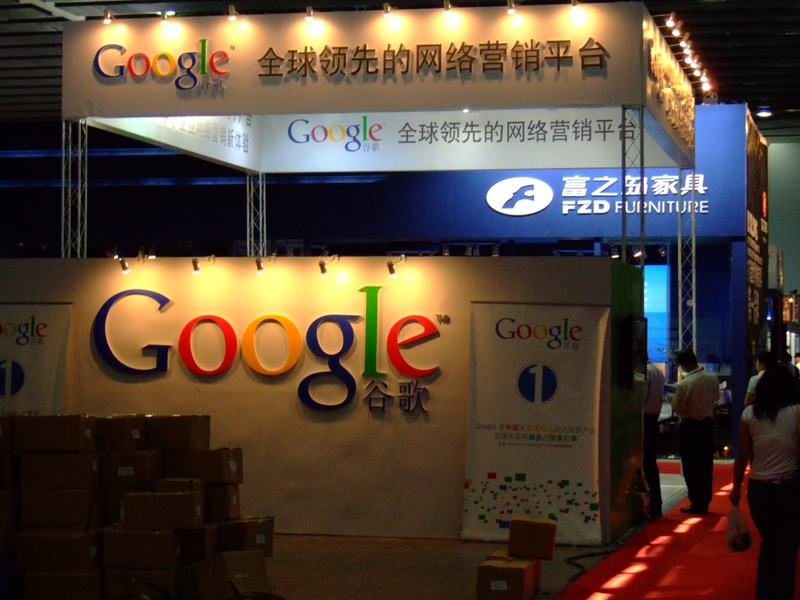 A social revolution will soon transform China, and multinationals that do business there can’t afford to ignore it. So far, they have mostly focused on the country’s tiny minority of urban-affluent consumers. But as more Chinese migrate to the cities for higher-paying work, they are steadily climbing the income ladder. 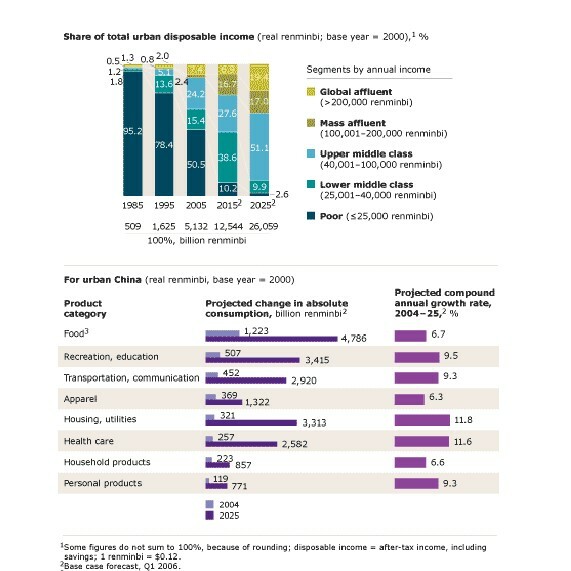 By 2011, McKinsey research suggests, China should have a lower middle class of 290 million people; by 2025, the upper middle class will be 520 million strong, with staggering disposable wealth. For many multinationals, this is the market of the future. Multinational companies should remember that as incomes rise, spending patterns change: food and other necessities account for a smaller proportion of household budgets, discretionary expenses such as recreation for a larger one. Meanwhile, however, tomorrow’s middle-class consumers are today’s relatively poor urban workers. By serving them now, a company can gain the experience needed to stay in the game as their incomes and tastes evolve. For more on the country’s changing consumer segments, read “The value of China’s emerging middle class” (2006 Special Edition: Serving the new Chinese consumer). Grazie ad elevati tassi di sviluppo economico, un numero sempre crescente di cinesi desidera viaggiare all’estero. L’Organizzazione Mondiale del Turismo prevede che entro 15 anni almeno 100 milioni di cinesi con una capacità di spesa simile all’attuale media europea visiteranno altri paesi. L’Italia è uno dei protagonisti indiscussi della scena europea: si stima che la “nicchia” di potenziali visitatori cinesi interessati al nostro Paese per affari o turismo sia equivalente all’intera popolazione italiana. Tuttavia, l’immagine dell’Italia in Cina è ancora legata a pochi marchi internazionali e alla visibilità delle principali città come Roma, Firenze, Venezia e Milano. 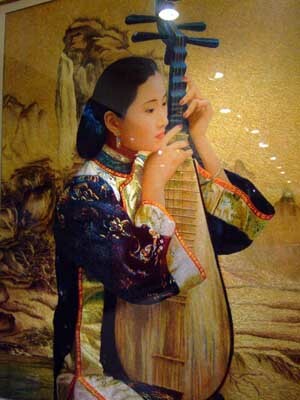 Fino ad oggi, inoltre, non esisteva un unico portale in lingua cinese focalizzato su mete, culture, prodotti, regioni italiane. Le chances di intercettare la nuova classe media cinese, desiderosa di viaggiare, vanno quindi implementate per far conoscere il nostro Paese e le sue molteplici opportunità, attraverso una vetrina facilmente fruibile per tutti i soggetti coinvolti ed interessati al flusso di visitatori in arrivo dalla Cina. 8DOORS web tv nasce in una delle regioni più attente ai fenomeni emergenti, con la collaborazione di importanti partners nei settori del turismo e dell’imprenditoria. Un nuovo modello di web tv che offer informazioni pratiche e turistiche, e si propone come veicolo di comunicazione in lingua cinese per aziende, Enti di promozione turistica, consorzi, fondazioni, fiere, etc. fruibilità. A questo scopo, i filmati di 8DOORS web tv sono introdotti, intervallati e coadiuvati da presentatori cinesi, i cui contributi sono realizzati ad hoc allo scopo di fornire “chiavi di interpretazione” ad un pubblico che si affaccia al nostro Paese senza conoscerne le peculiarità. 8DOORS web tv è online nella sua versione di prova e attualmente in fase di indicizzazione sui motori di ricerca. Attraverso la rilevazione e l’analisi delle visite possiamo già avere un panorama incoraggiante circa la visibilità del sito, i cui accessi hanno una percentuale di crescita mensile del 75%. In previsione si conta di raggiungere l’accesso di un milione di visitatori unici assoluti al mese entro il 2009. Si tratta di accessi di qualità poiché provengono prevalentemente dalle zone urbane della Cina, in cui si concentra la fascia medio-alta di popolazione, con standard economici e capacità di spesa equiparabili alla media europea; una fascia compresa tra i 25 e i 45 anni, che predilige nettamente l’informazione online alla carta stampata e alla tv tradizionale. Questi dati dimostrano che chi accede al sito è realmente interessato a visitare l’Italia. Si registrano anche numerosi accessi di utenti che parlano cinese ma vivono in altri Paesi del mondo. 8DOORS web tv, oltre a servizi di informazione turistica, culturale e di costume, offre la possibilità alle imprese di farsi conoscere attraverso un formato redazionale assolutamente inedito. Non è infatti per ora prevista pubblicità tradizionale, né banner di alcun genere. Quella che si offre alle aziende è la possibilità di inserire con ampia visibilità sul sito filmati realizzati ex-novo dalle nostre troupe specializzate in format per il web, oppure riadattati e tradotti a partire dai materiali messi a disposizione dal committente. Ad ogni filmato è collegato il logo dell’azienda per accedere velocemente al link specifico. Questo dà un valore informativo aggiunto all’utente e un servizio in più al committente. Possiamo trarre benefici dallo slittamento verso il continente asiatico del centro di gravità dell’innovazione? “L’atlante delle idee” redatto dalla Demos, un influente think tank inglese, aiuta nella scelta dei percorsi da seguire. L’approccio indiano all’innovazione è cosmopolita. Non c’è in India niente di assimilabile alla nostra idea di fare sistema per l’innovazione. Gli imprenditori indiani hanno buoni motivi per dubitare della loro pesante burocrazia pubblica che mettendo il cappello sulla costruzione del sistema innovazione finirebbe col plasmare un corpo di leggi, norme e procedure tali da soffocare l’innovazione già nella culla. Dubbi che sarebbe bene coltivare anche in casa nostra. Ciò che in India conta è la circolazione dei talenti, i flussi e le reti globali d’innovazione che vedono protagonisti imprese come Infosys, il gigante dei servizi di software. Sono imprese che prosperano grazie alle connessioni con i leader imprenditoriali del mondo occidentale piuttosto che investendo molto nella ricerca. Infoysis vi dedica meno dell’1 per cento delle vendite. Ecco dunque un primo percorso: entrare nella circolazione dei talenti, navigare nei flussi d’innovazione, agganciarsi alle reti globali per rintracciare opportunità di business altrimenti non esplorabili nè praticabili. La percorribilità dipende dalla capacità delle nostre imprese, prevalentemente di piccole e medie dimensioni, di connettersi alle reti lunghe e ai nodi degli scambi internazionali che sono intrecciati dalle imprese integrate globalmente. Se ben connessa, la piccola impresa è grande indipendentemente dal numero degli addetti e dal fatturato. Se isolata, è piccola anche se grande secondo i parametri consueti. Il tecno-nazionalismo cinese è uno scenario affatto diverso dal precedente. Qui il percorso è tracciato dal prestigio nazionale. La Cina vuole creare i suoi campioni imprenditoriali traendo valori commerciali dalle scoperte scientifiche e dalle ricerche nei laboratori delle università. La cultura della start-up alla maniera della Silicon Valley non essendo ancora attecchita, il terreno è vergine per l’incontro tra due civiltà millenarie. Un incontro che dovrebbe avvenire all’insegna dei nuovi paradigmi scientifici che abbattono le barriere tra bio, nano e info scienze. Un incontro che potrebbe essere propiziato dalla collaborazione tra i nostri giovani ricercatori ed i loro colleghi cinesi per dar vita ad imprese ad alta crescita e internazionali sin dalla nascita. Certo, per l’Italia questo è un percorso del tutto inedito e accidentato. Manca nelle nostre università e nei centri di ricerca la cultura del fare impresa. Pochi i nostri investitori disposti a partecipare a un parto tanto travagliato quanto lo è quello della nascita di un’impresa, per giunta se innovativa e internazionale. Eppure, mancare all’appuntamento vorrebbe dire restare fuori dai giochi dell’economia imprenditoriale programmati dal tecno-nazionalismo cinese. Ma chi in Italia vorrà e potrà mai tagliare con la spada i nodi gordiani dell’università , della ricerca e della finanza? Diversamente dall’India che punta sulle reti sociali senza frontiere e sul settore privato e dalla Cina in cui la mano pubblica sta al centro degli sforzi d’innovazione, il terzo attore asiatico, la Corea del Sud, vede protagonisti dell’innovazione i grandi conglomerati (le chaebol) e le città della scienza sponsorizzate dal governo. Tra queste, Deadok Innopolis con 53 centri di ricerca e più di 6 mila superlaureati. Chaebol molto forti che alzano barriere all’ingresso di nuovi entranti e piccole imprese molto deboli fanno della Corea un gigante con i piedi d’argilla. Popolato da incombenti nazionali così tetragoni, il percorso coreano è forse il più ostico da battere. Qui paghiamo lo scotto di aver poco, distrattamente e male coltivato la crescita delle nostre piccole imprese. Sul terreno coreano poco può la cinquecento italiana del “piccolo è bello” contro le locomotive industriali di altri paesi europei. Basta guardare alla Svezia che, trainata da AstraZeneca, Alfa Laval Sony Ericsson, Sab, Abb, Electrolux, Scania, Volvo, Ikea, H&M, Skandia e altri grandi gruppi ancora, ha molto più potenza di noi da spendere lungo quel faticosissimo tracciato. Nell’affrontare la realizzazione di un progetto d’investimento in Cina è inevitabile che si debbano adottare tutti gli accorgimenti generalmente necessari per attuare un investimento analogo in qualsiasi altro luogo. Seppure questa considerazione possa sembrare a prima vista banale, in realtà non è così. 2. valutare le opportunità di mercato per il proprio prodotto o servizio e, quindi, condurre una preliminare analisi di mercato che ne evidenzi le potenzialità, nonché la presenza e la rilevanza dei concorrenti. 6. valutare la tipologia e la forma dell’investimento (costituzione di società con o senza socio cinese, costituzione di ufficio di rappresentanza, impostazione di rapporti contrattuali di natura commerciale, creazione di una struttura produttiva, di trading, ecc.). Di seguito, qualche considerazione di massima può essere poi spesa in relazione ad alcuni elementi fondamentali nell’ambito di un progetto d’investimento. Succede che in molti casi I’investitore per ovvie ragioni (per limiti linguistici, diversità culturale, ecc. ), non sia in grado di gestire direttamente l’avviamento dell’operazione in Cina e, nel contempo, miri a semplificare il percorso e a minimizzare i costi di investimento, non curando in modo adeguato l’analisi preliminare di fattibilità sopra citata oppure limitando od escludendo la ricerca di confronto e supporto da parte di professionisti o strutture adeguate ad assisterlo. In molti di questi casi, può avvenire che l’investitore decida di affidarsi in modo completo all’eventuale possibile socio cinese con il quale si ritiene sia stato nel frattempo instaurato un rapporto di fiducia, nella convinzione che questi possa curare adeguatamente gli interessi dell’investitore italiano nella prospettiva del costituendo rapporto associativo. E’ chiaro che I’individuazione del partner ideale può risultare difficile anche nel caso in cui si tratti di soggetto della medesima nazionalità dell’investitore. E’ però altrettanto evidente che I’individuazione di un partner cinese, ossia di un individuo che presenta modalità comportamentali e logiche di pensiero completamente diverse dalle nostre, debba comportare necessariamente un’indagine più approfondita della persona e del suo background imprenditoriale e sociale. Soci inadeguati sono ovunque nel mondo e spesso la parte italiana ha dovuto, e dovrà, confrontarsi con partner inaffidabili anche in Cina; è pur vero che in taluni casi è stata proprio I’eccessiva confidenza da parte dell’imprenditore italiano, confidenza che questi non si sarebbe molto probabilmente concesso nel gestire i propri affari in Italia, a lasciare campo libero al partner cinese per poterne approfittare a proprio esclusivo beneficio. Si consideri che l’ordinamento cinese prevede da qualche anno la possibilità per gli stranieri di attuare un investimento in Cina a capitale interamente estero (ossia costituendo una società a responsabilità limitata senza la partecipazione di un partner locale), e sempre maggiore è il ricorso a questa forma d’investimento. In alcuni casi, però, la presenza di un socio cinese è comunque essenziale alla buona riuscita dell’investimento. Il partner locale, infatti, rappresenta soprattutto dal punto di vista commerciale, più che rispetto alla produzione (che fa parte del know how straniero), la chiave d’accesso al mercato cinese. e, possibilmente, avviare un’attività imprenditoriale grazie aIIfessenziaIe contributo straniero di tecnologia, creandosi così un’attività per la propria prospettiva futura), in tal caso sarà opportuno riservare al partner italiano un potere quanto più ampio possibile di intervento nella gestione dell’azienda e dell’attività produttiva (ma anche commerciale). è rappresentato dalla localizzazione dell’investimento. Sebbene più ci si allontani dalla linea costiera e più è possibile beneficiare di bassi costi di produzione, di manodopera, di costruzione o affitto di stabilimenti e di diritti d’uso del terreno, è pur vero che in tal caso minori sono le garanzie di trovare una manodopera affidabile (in termini di qualifica e di continuità di presenza – in molti casi si tratta di gente delle campagne circostanti che si fanno assumere allo scopo di accumulare nel giro di pochi mesi danaro per poi tornare nel villaggio d’origine abbandonando il posto di lavoro), le infrastrutture e l’ambiente possono non essere adeguate per accogliere il progetto d’investimento e per trattenere il personale più qualificato (in particolare quello italiano) che, a quel punto, si trova isolato e lontano dai centri abitati che possono garantire migliori condizioni di vita. Oggi la scelta ottimale ricade ancora sulla fascia territoriale che si affaccia sulla linea costiera orientale e, più ancora, sulle zone che circondano le città più importanti, da Shanghai a Suzhou, Tianjin, Guangzhou, Dalian, Xiamen, Ningbo, ecc., attorno ad alcune delle quali si sono sviluppati i più importanti parchi industriali cinesi (gestiti direttamente dal governo centrale). Quando il partner cinese è presente, potrà sembrare ottimale collocare il progetto nella zona d’origine del partner stesso onde sfruttare le relazioni che questi abbia in essere con le autorità locali del luogo in cui questi sia radicato, soprattutto nell’ottica di sveltire le procedure amministrative previste per legge per l’approvazione del progetto d’investimento e la costituzione della società. Peraltro, si consideri a titolo esemplificativo che nell’ambito di una società compartecipata (la cd. joint venture), lo scioglimento della stessa (così come la modifica dello statuto, la fusione o la scissione e l’aumento del capitale sociale) deve essere deliberato dal consiglio di amministrazione all’unanimità. La delibera anzidetta deve poi essere sottoposta al vaglio delle autorità che in origine sono state investite dell’approvazione del progetto di investimento e della costituzione della società. E’ evidente che, nel caso in cui sorga un disaccordo tra le parti in merito all’ipotizzato scioglimento della società, quelle stesse relazioni preferenziali del partner cinese che inizialmente avevano favorito l’avvio del progetto, potrebbero in un secondo tempo favorire solamente il partner locale, ritorcendosi contro I’investitore italiano. In tal senso, quindi, non sempre può ritenersi ottimale la scelta di localizzare il progetto nell’orbita dell’ambito territoriale dal quale il partner cinese proviene. Un ulteriore aspetto di notevole importanza, che in alcuni casi viene però sottovalutato, è la necessità che I’imprenditore italiano garantisca in Cina una propria presenza, se non continuativa almeno periodica, nonché una presenza italiana stabile nell’ambito del management della società cinese, importante ad assicurare non solo il controllo delle attività ma anche il criterio e l’ordine gestionale, oltre che il ritmo di operatività, propri della nostra imprenditoria. In alcuni casi, soprattutto per la tipologia di impresa tipica in Italia (imprese di piccole-medie dimensioni e a struttura familiare e, quindi, con una forza manageriale talvolta limitata nel numero e poco propensa alla delocalizzazione ma più votata a rimanere in Italia), I’individuazione della persona da dedicare stabilmente alla realtà aziendale creata in Cina può rappresentare un rilevante problema per I’investitore italiano, tale da arrivare talvolta a dissuadere lo stesso rispetto all’immediata realizzabilità del progetto. Del resto, la presenza dell’investitore e del proprio personale italiano di fiducia è essenziale, indipendentemente dal fatto che l’investimento sia realizzato in Cina piuttosto che in qualsiasi altro luogo, dal momento che sempre una realtà aziendale deve sentire al proprio interno la presenza e l’anima deIIfimprenditore. Per questo, I’imprenditore che intenda attuare un progetto in Cina dovrà seriamente valutare l’aspetto sopra evidenziato, eventualmente individuando una risorsa ad hoc da formare presso la propria impresa in Italia e da dedicare al progetto non appena possibile. La situazione legislativa impone a sua volta alcune considerazioni. 2006 sono entrate in vigore le nuove leggi in materia di società commerciali, di fallimento, di acquisizioni e fusioni, di energia rinnovabile. Peraltro, ad alcune di queste normative, per lo più a carattere generale, non sono seguiti (ancora) i regolamenti di attuazione mentre in altri casi sono state emanate circolari amministrative (alcune pubblicate, altre a carattere interno alla pubblica amministrazione) che anziché agevolarne l’interpretazione pongono ostacoli alla loro efficace applicazione. A ciò si aggiunge il fatto che spesso coloro che sono chiamati ad applicare dette leggi, non tanto nell’ambito di un contenzioso ma anche e a maggior ragione nell’ambito di un procedimento amministrativo (come quello dell’approvazione della costituzione di una società da parte di un investitore straniero), sono rappresentati da funzionari della pubblica amministrazione che difettano di preparazione giuridica e culturale idonea a gestire in modo coerente e continuativo il disposto normativo. La stessa cultura giuridica degli operatori del diritto in Cina è ancora in alcuni casi immatura; anch’essi devono confrontarsi con un quadro legislativo recente ed estremamente dinamico e variabile, disponendo di contro di un vissuto assai giovane e, quindi, a tratti incerto. Anche per tale ragione risulta opportuno per l’investitore italiano avere un riferimento ed un sostegno professionale da parte di strutture che integrino varie professionalità insieme, beneficiando dell’apporto consulenziale dell’esperto italiano come di un conforto correttivo rispetto alle attività da svolgere in Cina in relazione all’attuazione dell’investimento. La Cina è sicuramente un’opportunità che va colta sulla scorta di un approfondimento adeguato ed un inquadramento quanto più possibile puntuale di qualsiasi progetto d’investimento. La spinta imprenditoriale di coloro che hanno costruito il tessuto industriale e commerciale italiano sicuramente ben si può collocare in questo Paese ma a fronte di un’indagine che non può essere superficiale. ambiente adeguato per gli investimenti stranieri sotto il profilo sociale, economico e legale. Nel frattempo, è importante indagare tanto in merito alle opportunità di investimento, sicuramente ampie, quanto in merito al miglior criterio di approccio a questo nuovo mercato e, in tal senso, l’apporto consulenziale e professionale potrà giocare un ruolo fondamentale nell’inquadramento delle modalità di tale avvicinamento alla Cina. Il desiderio dei cinesi di eguagliare il nostro livello e stile di vita sta rendendo molto interessante la prospettiva di sviluppo dei settori legati all’abbigliamento, al food ed al design, nel limite in cui sia conferita all’iniziativa imprenditoriale una forte connotazione italiana o europea, in modo da rendere unico il prodotto ed al fine di permettere al cliente cinese di potersi distinguere dagli altri nella scelta compiuta. In tutti i centri commerciali a vocazione internazionale visitati a Shanghai, non è inconsueto notare una scarsa affluenza di persone: i più curiosano ma in pochi acquistano. Eppure, tutte le nostre grandi firme italiane dell’abbigliamento e del design sono già presenti da qualche tempo, in alcuni casi con più di un punto vendita, di sicuro con una finalità legata alla promozione dell’immagine ma inevitabilmente come presenza stabile pronta a raccogliere la domanda di mercato che ben presto avanzerà. A conferma di ciò sta il fatto che sempre maggiore è lo sviluppo di operazioni correlate all’abbigliamento, come la creazione di nuovi centri commerciali (che si aggiungono ai tanti già presenti), la realizzazione dei centri outlet (solo a Shanghai ne stanno nascendo tre), quegli stessi fashion outlets di derivazione statunitense che soltanto in anni recenti sono stati introdotti in Italia. Altro settore di interesse è rappresentato dalla ristorazione. Molti sono già i ristoranti e le pizzerie, i coffee-shop e le gelaterie italiani, oppure all’italiana, aperti in Cina ma lo spazio per altri non manca. Se da un lato i Cinesi sono grandi bevitori di the e non sono amanti dei cibi freddi, nella maggior parte dei casi, pur di seguire il trend di vita occidentale gli stessi si adattano a bere caffè (siano questi caffè espresso oppure beveroni che ne ricordano il sapore), a mangiare coppe gelato anche durante l’inverno nonostante la scarsa propensione per i prodotti a base di latte, oppure ad utilizzare forchetta e coltello rinunciando alle bacchette che rappresentano non solo uno strumento per cibarsi ma, per i cinesi, anche uno stile di vita. Non importa quindi che piaccia, l’importante è che sia trendy; più eclatanti sono i casi rappresentati dalle catene Starbucks, per le caffetterie, e Haagen Dasz, per le gelaterie, piuttosto che Papa John’s e Pizza Hut per uno dei prodotti più importanti di casa nostra come la pizza. Ciò, in ogni caso, a significare il desiderio di identificazione della popolazione cinese con i più classici stereotipi internazionali. Questi, ovviamente, sono tutti fenomeni che si riscontrano principalmente nelle grandi città cinesi della costa orientale; peraltro, poche città come queste raccolgono da sole decine di milioni di abitanti e, quindi, un mercato degno di essere chiamato tale e, in ogni caso, destinato ad aumentare con la crescita demografica dei centri urbani costieri a discapito delle aree agricole interne. Un po’ debole al momento sembra la presenza di vini italiani forse caratterizzata da iniziative troppo isolate e non sufficientemente strutturate, o supportate come importazione e distribuzione, per contrastare quella che al contrario è la forte presenza di marchi francesi, oltre a quelli australiani ed americani nonché degli stessi cinesi. Un popolo che fino a poco tempo viaggiava in bicicletta ora può accedere all’automobile privata ed il mercato dell’automotive, per mezzo di costruttori stranieri e ancora più di quelli cinesi, sta compiendo un percorso di grande espansione. Questa espansione, naturalmente, accompagna altresì tutto l’indotto collegato all’industria automobilistica e tanti degli operatori di settore italiani, quindi, potrebbero ricercare un’opportunità di investimento nel ramo in questione, nonché in quelli collegati, sia mediante la realizzazione di unità produttive che come sviluppo di reti di fornitori e sub-fornitori per I’approvvigionamento, in favore delle proprie imprese in Italia, di componentistica ed esecuzione di lavorazioni particolari. Altro ambito in fase di sviluppo è quello relativo al settore dell’energia prodotta da fonti rinnovabili (inquadrati nel Protocollo di Kyoto e nel Programma di Cooperazione Sino-Italiana per la Protezione dell’ambiente), con progetti incoraggiati a livello statale in quanto in grado di portare alla Cina molteplici benefici,tra cui appunto la produzione di maggiore quantità di energia, la diminuzione dell’inquinamento (dal momento che l’utilizzo di fonti alternative permette un minore sfruttamento del carbone, per ora ampiamente impiegato in Cina), nonché un più efficace smaltimento di tutti i materiali classificabili come fonti rinnovabili.